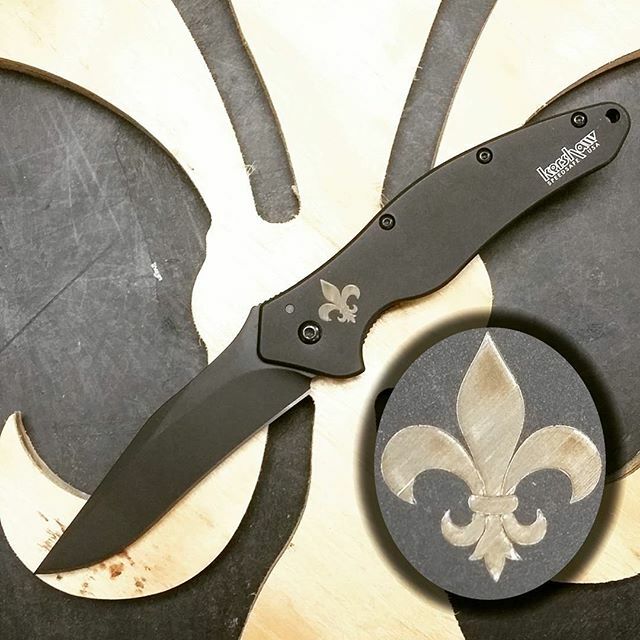 If you like fleur de lis then you will love this Kershaw Shallot with a fleur de lis emblazoned on the handle. For a limited time we are offering these Kershaw Shallow model 1840CKT knives with this beautiful laser engraving. The engraving will never come off of the knife, and will forever have a showpiece that makes people ask where you found it!